We've got 3 employees working from home which I want to give the facility to register to their extentions on pbxnsip. We've got static IPs, so I'd like to know is there a guide on how to achieve this? We use ISA server as our firewall and proxy and I have a static IP available for use just for sip and rtp traffic. Could you give me some sort of guidance on what I would have to set on pbxnsip to get the registration and rtp traffic flowing correctly? I tried this once when we still on dynamic ips and I could get the phones to register, but I couldn't get any voice once a call was established. Any ideas? ISA is not going to pass sip traffic. from what i hear from various sources i've read ( i don't use ISA) its not going to do sip. 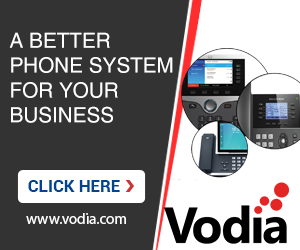 there are other sip pbx vendors wont support it either. ISA opens packets and is not application aware of SIP, at least till last version we use, which is ISA 2004. we had to get rid of ISA at our clients that went to sip. I do have 1 client where it started miracliously working, I won't touch it. First Master ISA, Second Master Group Policies, need a MS ADM for port ranges, Hack the crap out of Server to allow you to affix PortRanges for a variety of services, 5060 and the RTP streams.... Read the many posts on Microsoft Social Networking sites, Still feel lucky? Or Put a Low Cost SIP AWARE Firewall Router on the LAN, and avoid all possibilites of a hack by using static routes at the central router to the remote sites, Secure the PBX with access ranges, and if you need to split a single ethernet feed from the ISP, use a suitable switch that SUPPORTS port based QOS and assign the PBX to a higher Queue than the LAN....DSCP value the incoming packets if you can. Much of this is reference in OCS installation guides for EDGE deployments..